Look what happened while our backs were turned. Destiny fans are pretty focused on the upcoming Rise of Iron expansion but there’s plenty of good work happening with the game we have right now. In all the excitement of E3 2016 we missed Bungie quietly releasing a major update. Patch 2.30 does several important things, including introduce a new range of Chroma. Now you have even more colour options to decorate your favourite compatible armour sets: orange, magenta and green. Notably, Bungie has made the Paradox alternate ending and Lost to Light mission available from the director, and Firewall will become available as soon as you meet the requirements. This is so you can get through these missions without waiting for them to rotate through the dailies; everyone’s in a rush to see and do everything ahead of Year Three. Another interesting change is that all weekly rotating activities in Crucible now feature weekly rewards, which is nice – but the real meat was in class and weapon balancing. One of the main foci for the patch was the Hunter class. The Gunslinger‘s Swarm Grenade has been buffed, while the Tripmine has been nerfed a little so it no longer attaches to living targets. Golden Gun base damage has been buffed by 50% and a further 30% against AI (pvE) opponents, with Deadeye adding an additional 30%. The Throwing Knife has been nerfed a little, and Circle of Life has been altered so that precision Throwing Knife kills reduce Golden Gun cooldown rather than extend its duration. Bladedancers will see their Skip grenades nerfed a little, and Blink has a -1 recovery penalty. Arc Blade has been given an overhaul so that you’ll need to aim precisely and hit your targets rather than mash the button – but it’s now 30% more dangerous to AI enemies, and Encore extends duration and grants a 150% damage boost. Showstopper and Blink Strike have been given a longer range, but the valid backstab angle has been reduced by 30 degrees. Vanish now makes you actually vanish, but Escape Artist has a half second delay. Nightstalker Spike grenades have been altered but deal the same total damage overall. Shadowshot has been altered to apply its supression effect on impact. Smoke has had a 34% impact damage buff, but its suppression and damage over time effect last one second less, and you can jump after being hit with one. The Smoke cloud now lasts longer, but Vanish in Smoke no longer grants +1 Agility. Courage of the Pack is more powerful, Lockdown now increase Smoke cloud duration, Predator now reduces the cooldown on Shadowshot and Shadestep is a single dodge with a three second cooldown. There’s an explanatory post on Bungie.net with some details on why these decisions have been made. 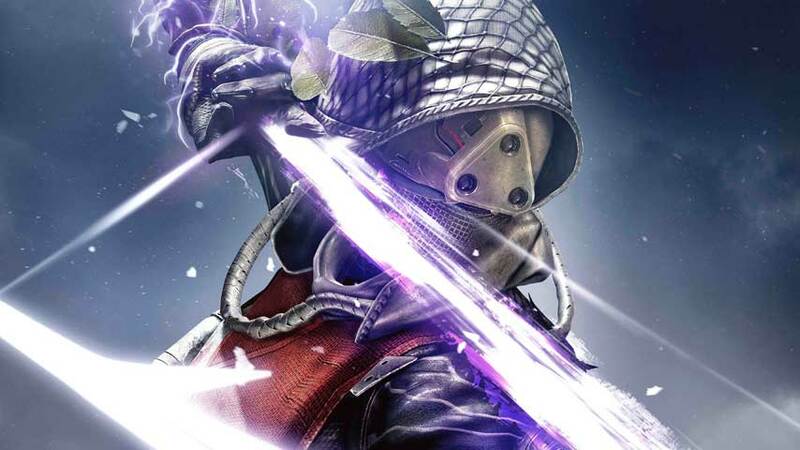 Titans and Warlocks also saw some minor rebalancing, but weapons were given a more thorough polishing. Hand Cannons have been rebalanced once more, this time with an aim to making range perks less necessary for viability. Some Auto Rifles have been nerfed to reduce their dominance of PvP. See the explanatory notes on Bungie.net for more. These are just the main points. The full patch notes are a must-read.